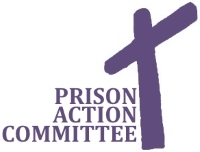 Every Sunday afternoon at 4:00pm, the Prison Action Committee of CCU provides a worship service for inmates of the Dauphin County Prison Work Release Center. Inmates are transported to CCU's location at 413 S. 19th Street, Harrisburg. A different church provides the worship service each week in CCU's sanctuary, with Sunday School groups meeting prior to the service at 3pm. Churches are always needed to provide services. Through the variety of services, we hope to minister to person's while in work release, and our hope is an inmate may find a church to connect with following their release. Please consider having your church join this effort.